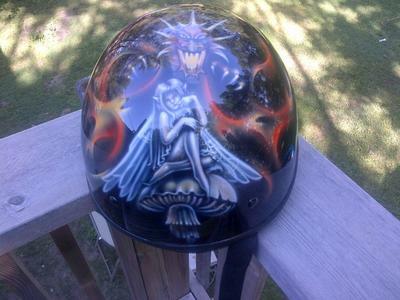 Custom painted ladies helmet. 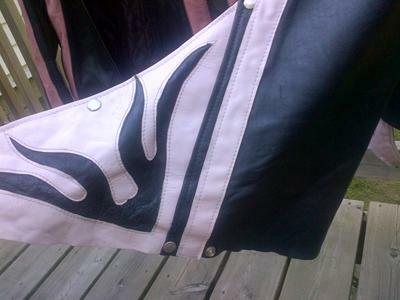 Pink and black leather custom size small chaps. 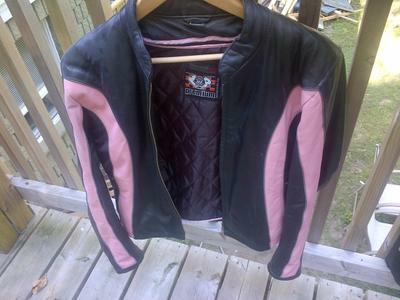 Pink and black leather jacket. 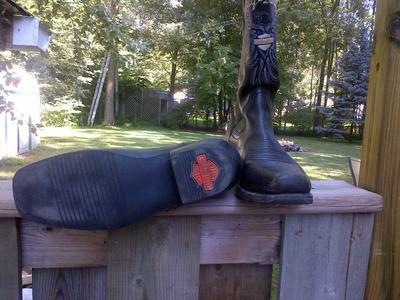 Ladies size 10 Harley Davidson boots. All lightly used in excellent shape. will sell together or individually.